06.00 - 07.00 : Pick-up from hotel and transfer to Thuplamu pier. 08.00 : Check in; pick up your snorkeling gear. 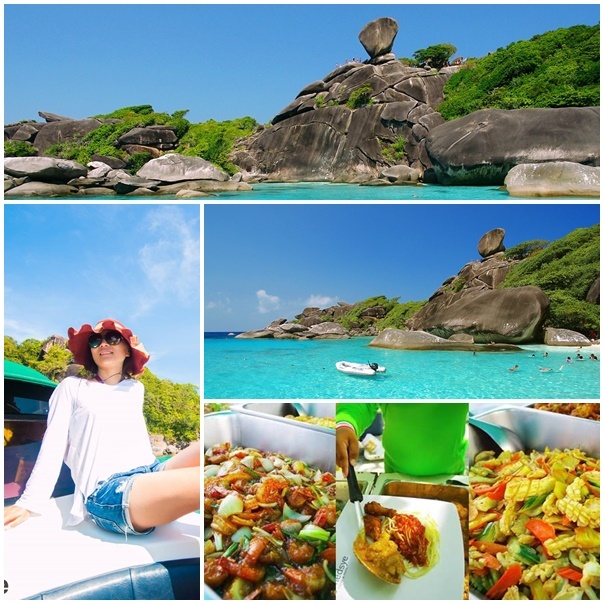 Meet your guide and depart for the Similan Islands. 15.00 : Return to the Thaplamu pier. 16.30 : Arrive at Thaplamu pier and transfer back to your hotel. Trip Includes: Round- trip transfer from hotel to thuplamu pier, Round-trip speed boat, National park admission fee, Lunch and drink, Snorkeling equipment and Accident Travel Insurance. Remark: Snorkeling point can be change on climate and weather condition. However, we provide the best snorkeling site for you.